Maria Ester is a single mother from Choluteca City in Southern Honduras. 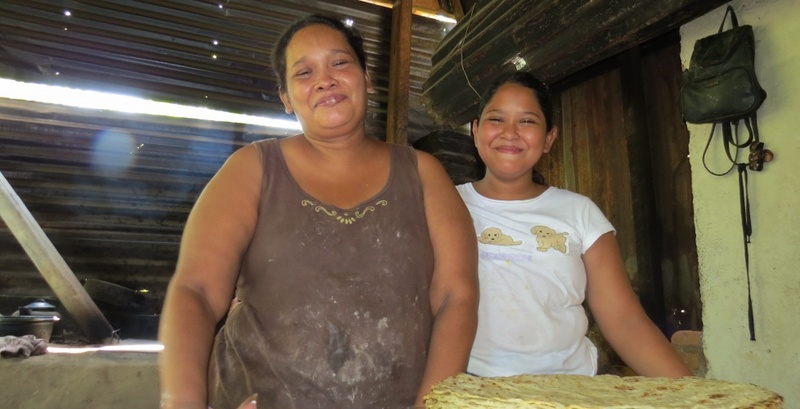 She started a “Tortilleria” (a tortilla store) with her daughter Abril in order to make a living. A member of Monte Santo Church met Maria and saw that her cooking equipment that was installed outside the house was not covered. The local church members helped install a roof over Maria’s stove and cooking area to help meet her needs. Through this servant-evangelism project, the door was opened for the church to share the gospel with Maria. Praise God! We just heard this past week that Maria has accepted Christ! Please keep her in your prayers and continue to pray for her daughter and her father, who have not yet accepted Christ. Thank you to our HOPE Coffee Partners! You are making an eternal difference in the lives of the Honduran people by partnering with us. Thank you for choosing to Serve Better!